One of my biggest complaints with writers is what I call wishy-washy writing. 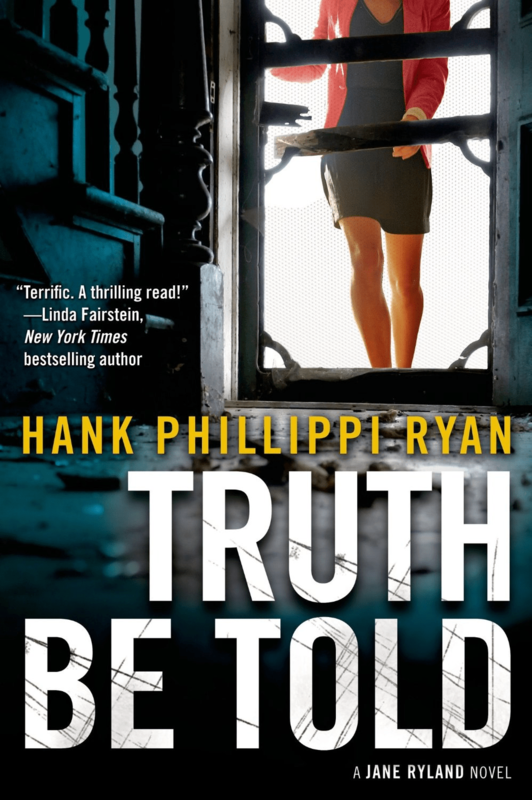 I’m always saying, “Write boldly.” Well, to be blunt, there ain’t no wishy-washy writing in Hank Phillippi Ryan’s new Jane Ryland novel. Here’s my review. “Truth Be Told” begins with the eviction of a family from their home. Reporter Jane Ryland is covering foreclosure when she realizes there are many more such cases. As Jane digs into the issue of foreclosures, she discovers another, bigger problem, mortgage fraud. But, this fraud is being committed by someone inside the bank. Boston police detective Jake Brogan’s latest investigation should be bringing him great satisfaction because the killer has confessed to a twenty-year-old case that haunted his police-commissioner father. But, Jake doesn’t believe the confession. In fact, he’s sure the man in custody is confessing to a murder he didn’t commit. The question in Jake’s mind is, why? As Jane’s investigation into the mortgage fraud continues, she begins to suspect a connection between the foreclosed homes and recent murders. But, her relationship with Jake is under serious pressure from her new boss and the attorney of Jake’s confessed killer, who finds her very attractive. Ryan has undertaken a huge task with her third Jane Ryland novel, weaving together separate plot lines about mortgage fraud, murder, and false confessions. The seemingly unrelated plot lines are eventually brought together even as Ryan maintains the tension throughout the book. Characters are under continual pressure by external forces as well as their own decisions. Once the momentum begins, it seems there is little they can do but see the game through to its conclusion. Deft timing of scene beginnings and endings helps maintain the pace of this novel. This, however, can be a double-edged sword in a novel with multiple points of view because the reader can feel momentarily disoriented by a fast scene break to a new point of view without immediate orientation. Without a doubt, this is an award-winning author showing how to write boldly.